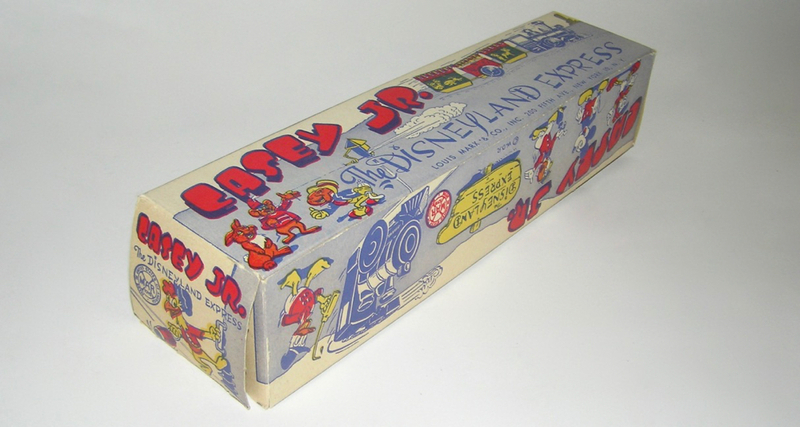 Here is a nice toy from Marx called Casey Jr. 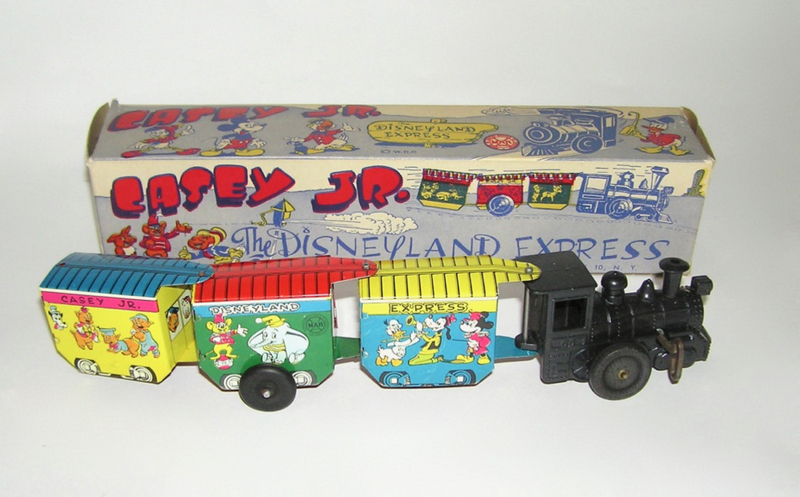 The Disneyland Express Train. 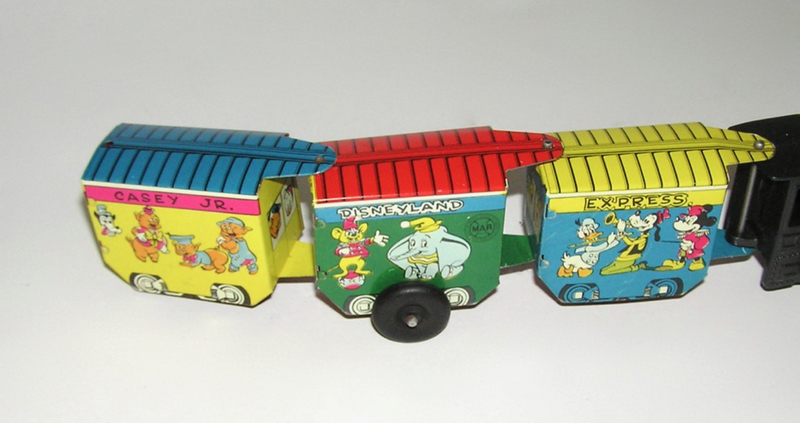 This is a wind-up Steam Engine pulling three cars with Disney characters lithographed onto the tin cars. 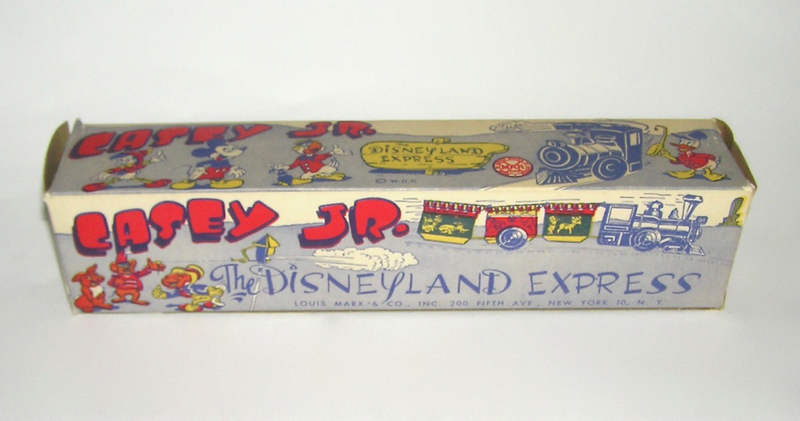 This comes with its original box. Train worked when tested. 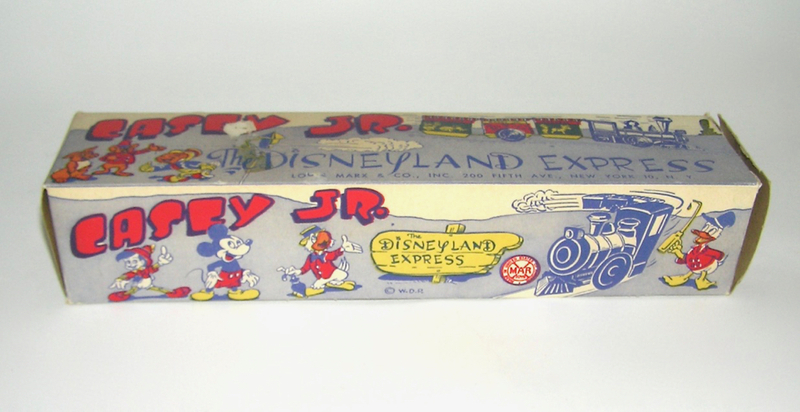 Measures 12-1/2" long. 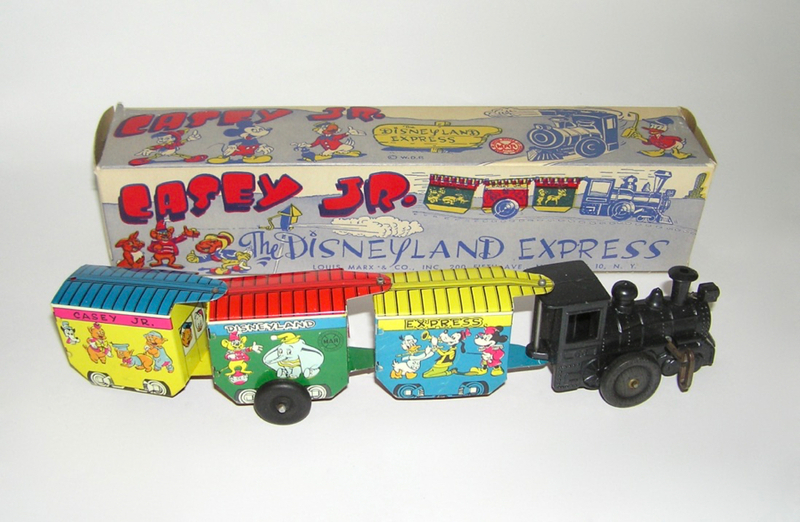 Train is in excellent condition with only minor wear from box. 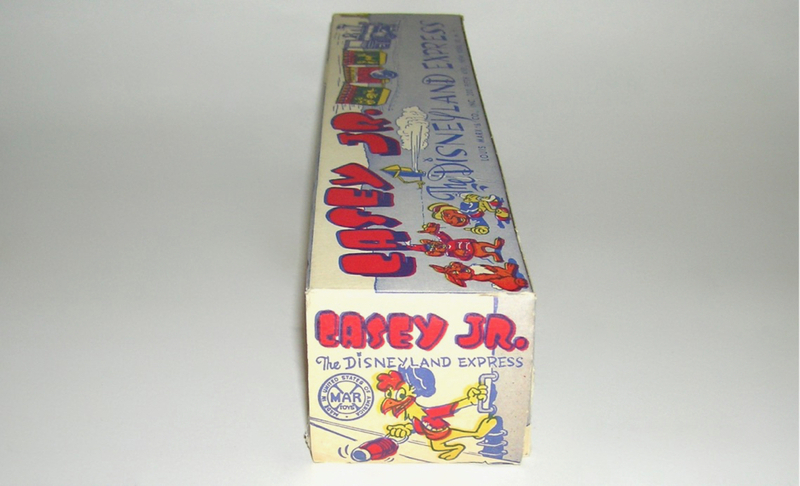 Box is missing one tuck flap on one end. Don't miss.